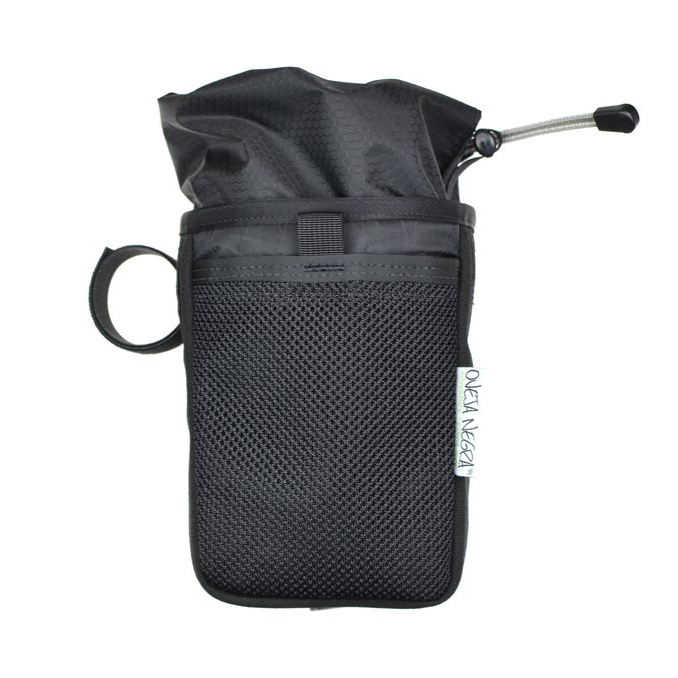 The Oveja Negra Chuckbucket Snack Bag is a handlebar bag that enables fast access to essential goods during your ride. 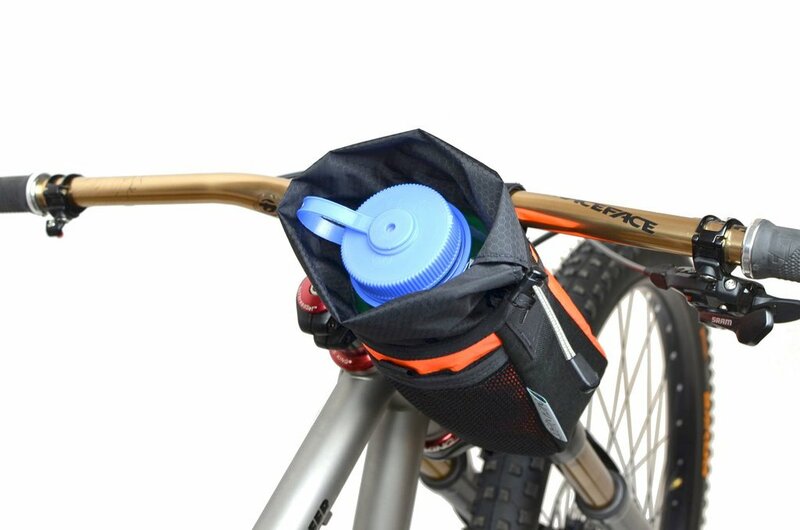 The simple and secure bag can hold a 1 L Nalgene bottle or 40 oz. 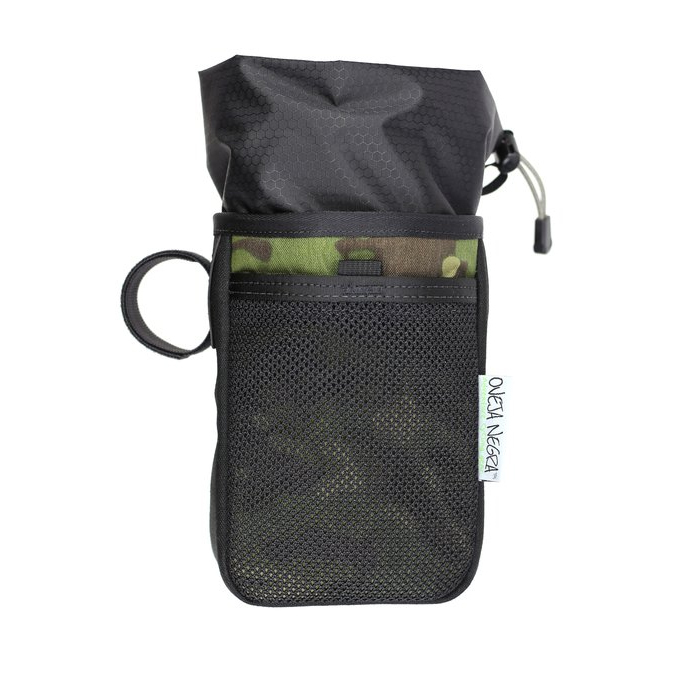 Klean Kanteen. Besides that, the Chuckbucket has plenty of room for snacks or whatever else you find yourself in need of. 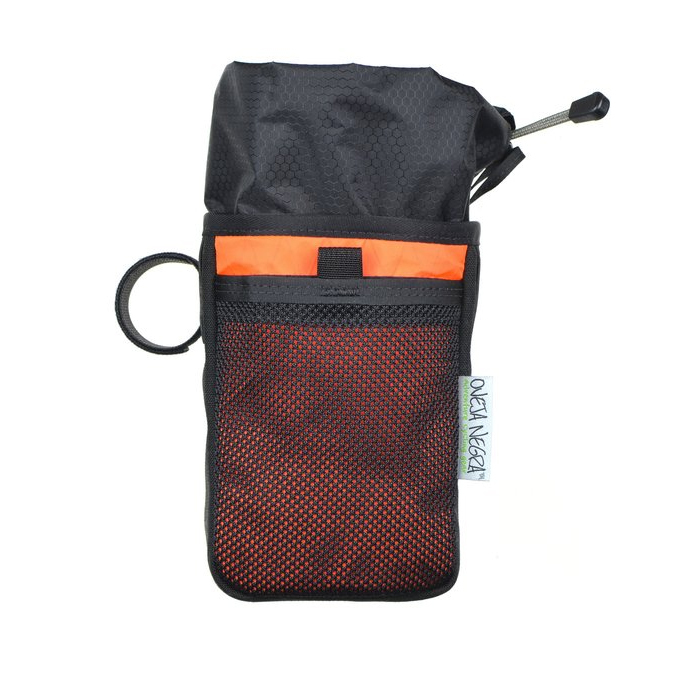 The bag features a simple one-handed opening/closing design that allows you to keep control of your bars and not crash. 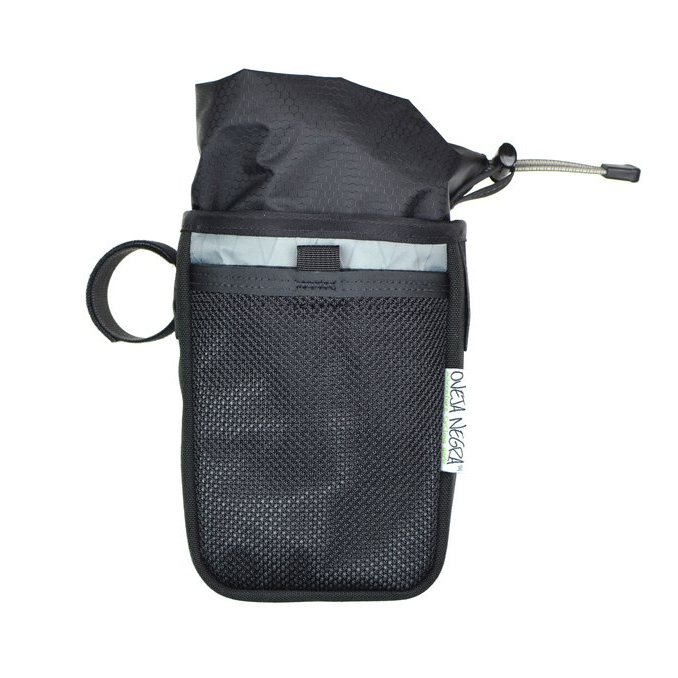 Hook & loop closure mesh pocket keeps items secure and high density closed cell foam keeps your items protected. 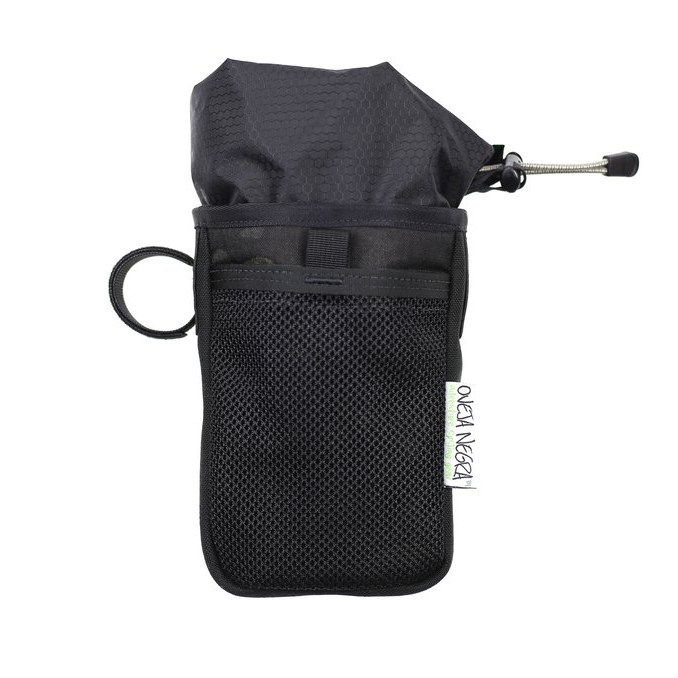 I've used many different feed bags to suit different purposes, but the Chuckbucket is the most versatile of them all. 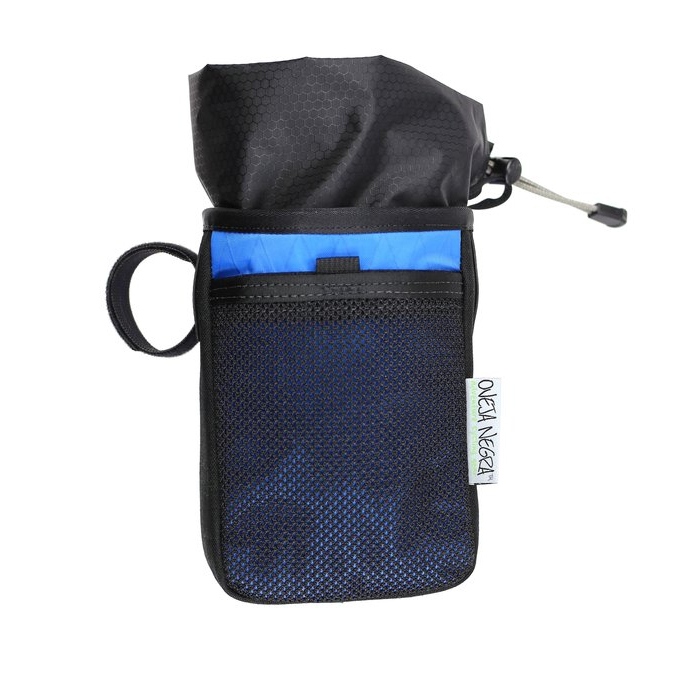 The square-ish design opposed to an oval serves as a stiffer design, that also allows for better volume management. My point and shoot camera is easy to get in and out. 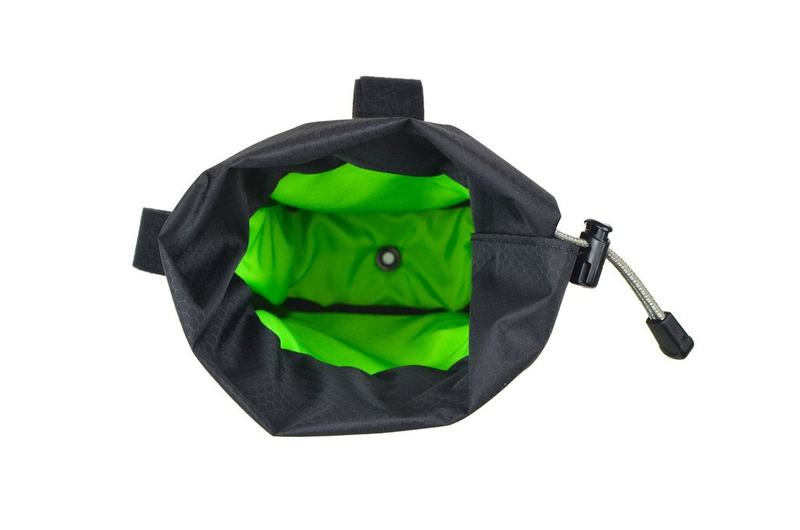 I would reccomend this to anyone that needs a versatile storage space that doesn't mind an extra space used on the handlebars.